Matadors’ volleyball suffered two big losses to the UC Irvine Anteaters. CSUN (13-10, 3-5 Big West) lost the first two sets in Irvine (19-7, 5-3 Big West) Friday but managed to battle back forcing a fifth set. The two went to extra points where Irvine finally ended CSUN’s run. Final score Friday night: (25-17, 25-23, 22-25, 22-25, 22-20). Arvis Greene had an unbelievable night finishing with a career high 40 kills on 73 swings hitting an impressive .384. “It felt good, [but would’ve] felt great if we won,” Greene said. 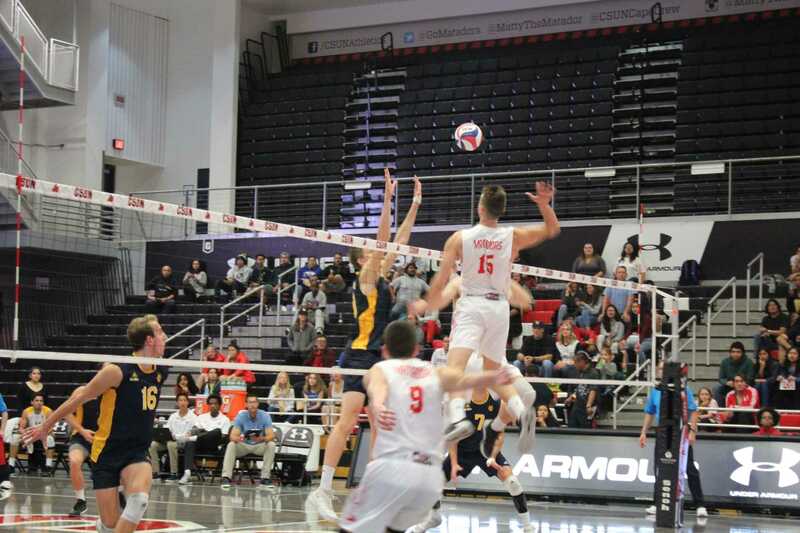 A tired CSUN team then returned home Saturday and dropped the two opening sets yet again. The comeback magic of the day prior was solely a memory as CSUN went down in three for the team’s third time being swept on the season. UC Irvine took game two (25-18, 25-23, 25-20). Blocking was key this game as it has been all year for Irvine. The best blocking team in the conference out-stuffed CSUN 24 blocks to three in just three sets. Irvine only had 22 blocks in Friday’s five set match. Irvine’s top weapons proved too much for the Matadors as seven footer Scott Stadick finished the game with nine kills and eight blocks (four solo blocks). Karl Apfelbach slammed a team high 12 kills to go with his four blocks. Apfelbach finished the weekend with 29 kills. Dimitar Kalchev, Arvis Greene and Eric Chance all led the Matadors with 8 kills a piece Saturday. Chance crushed basically everything in sight, hitting .700 on the night. Kalchev and Greene struggled to find rhythm as both hit under .100 and racked up 14 of the team’s 22 hitting errors. CSUN’s last two regular season games lie a week ahead. The team will play its final home game in the Matadome against UC San Diego Friday April 13 at 7 p.m. and then travel to UCSD for the final regular season game the following day. These last two games can either provide momentum or a stonewall for the Matadors as seeding for the Big West tournament will be decided following the games. 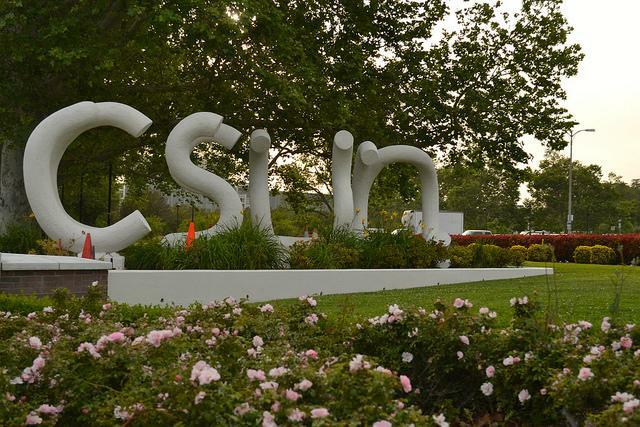 CSUN can finish anywhere from fifth to second.